214kms today but all gravel and tarseal. 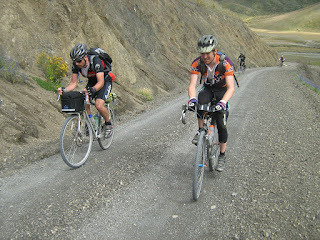 Some good tailwind thru the otira but a minor bonk for me on the viaduct. Legs are pretty sore and everyone has sore botty bits. An early nite tonite as we are camping in a domain near oxford close to start of wharfdale track. The next two days will be big ones.